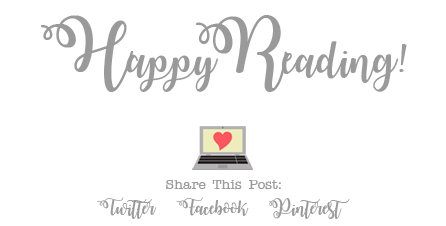 The Spring Girls is the first book that I've ever read by Anna Todd, even though I've had quite a few of her older books on my TBR for a while now. 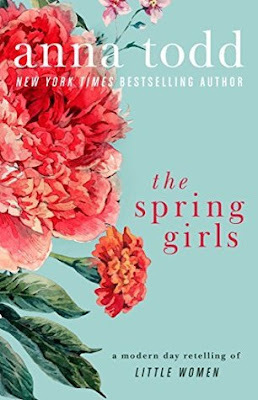 I must admit that I'm a little bit intimidated by how many books are in her After series, so I always end up putting off starting it, but when I saw that The Spring Girls was a standalone novel, I was curious to give it a shot. It was an interesting read! Ok, I should probably start this by saying that The Spring Girls is a modern-retelling of Little Women. I have not had the pleasure of reading Little Women before, and I've not seen and movie/tv adaptations for it either, so I absolutely cannot compare this story to that one in any way. (Actually, the only things I know about the original Little Women story are the spoilers mentioned on Friends. *grin*). That being said, other than knowing some of the names of the original characters, I basically went into this book completely blind, and not knowing at all what to expect. One thing that I really liked most about the books was the characters. There were so many Spring girls: Meg, Jo, Beth, Amy, and, of course, Meredith, the mom. I absolutely LOVE stories that have big families. The story is told from the perspective of three of the four sisters; Jo, Meg, and Beth. I enjoyed the different viewpoints, as each sister was so different from each other in their own way. They have this really awesome bond that I always hear that some sisters have, but have never actually seen in real life. They don't always get along, but that bond is still there, and so strong. All of the characters were interesting, but I found myself relating a LOT to Beth; especially with the anxiety issues. (I totally get it.) She's totally my favorite sister. The storyline for the book was fluffy and entertaining, for the most part. I do feel at times that it was a little ramble-y at times, especially when describing things the simplest of things. There was a lot of extra detail that I felt really didn't need to be included, and I found myself skimming over most of these parts. (Was that just me?) Otherwise, I enjoyed the story, and I now definitely want to check out the original story as well.